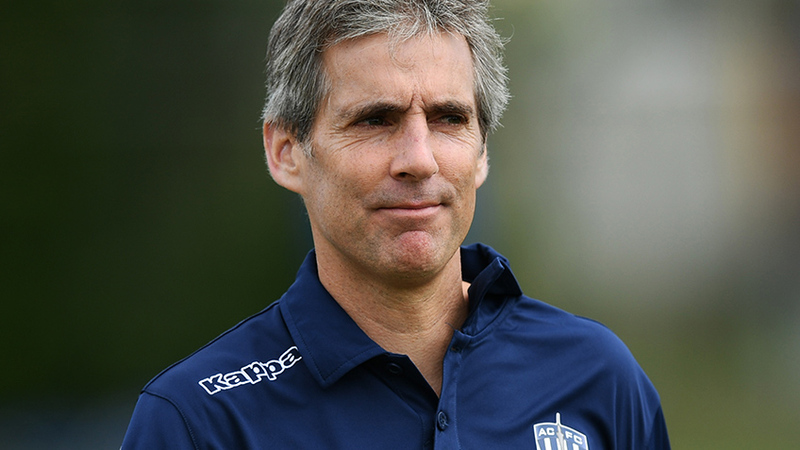 AUCKLAND, New Zealand - Auckland City FC coach Ramon Tribulietx provides post-match reaction to today's 2-0 victory over Waitakere United in the ISPS Handa Premiership including an injury update on Enaut Zubikarai. Two goals by Javier Lopez was enough to hand the Navy Blues a comfortable derby win today and Tribulietx was delighted with the first performance of the New Year. Tribulietx was pleased with a ninth win in a row, a resul that extends Auckland City FC's unbeaten run in the ISPS Handa Premiership to just over a full year. "It was a game we dominated from start to finish. It was one of the elements we spoke about which was playing a competitive match after a two week break on a hot day and on a slow pitch. "It was heavy going for us so having the ball was going to be important. We played a very good game and created a lot of chances and we got two goals. "I'm very happy with the way we competed, particularly after the break," he said. On the plethora of offside calls made against his team, Tribulietx said the responsibility fell to players to be mindful of the defensive line. "That's how it goes sometimes. The good thing is we keep creating those situation but we have to watch the line. Players sometimes make the run too early but the amount of chances we created was superb. "We restricted Waitakere United's opportunities to a minimum - they hardly had any chances to score. It was a good game and a fine win to come back from the festive break," he said. On the injury to Enaut Zubikarai, Tribulietx said it was too early to say how long the talismanic goalkeeper will be out of action. "Zubikarai's injury was very sudden so we treated it yesterday and the tightness didn't go away. His shoulder has some stiffness there and it looks like it's just an inflammation and we would expect Zubikarai to be back within a week or two. "We need to acknowledge Ruben's contribution today because when you are Auckland City FC goalkeeper you are going to be asked to play more with the ball at your feet than you are pulling out saves and he did that very well today. "That's a difficult change for a goalkeeper but Ruben made very good decisions switching play and playing the inside ball we want to look at, so he deserves congratulations because it's not an easy situation for him to be in. He had a good game," he said. Parker, whose debut included a cleansheet, was equally happy to play. "I got the news Zubikarai wasn't ready this morning so everything happened quite quickly. "We always train to play and you have to be patient to get your opportunity and I'm happy we picked up the three points," Parker told www.aucklandcityfc.com.